China's online travel service platform Ctrip is expanding its presence in the Japanese tourism market, considering the rapid growth in the number of Chinese visitors to Japan in recent years. 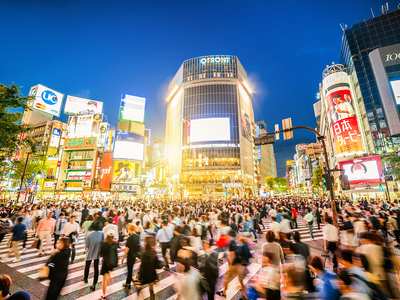 Japan is a key market for Ctrip's destination development strategy. Ctrip established its Japanese arm in 2014 and has been working to expand its operations in Japan. In 2015, it became the first Chinese online travel agency to get a tour operator license in Japan. The country is Asia's second-largest tourism market and has great business opportunities for the company, said Sun Jie, CEO of Ctrip. The company announced last year that it has formed a strategic partnership with Japan's Osaka Convention & Tourism Bureau. Both parties will work together on product development and promotion, big data, marketing innovation and others. Given the sudden boom in tourism to Japan, Ctrip will continue to establish partnerships with local hotels, airline companies and other travel-related companies. Outbound visits by Chinese residents hit a record high of over 130 million in 2017, up 7 percent compared to 2016, making China the world's biggest travel guest source country, according to a report released by the China Tourism Academy and Ctrip. Outbound travelers spent nearly 116 billion U.S. dollars last year, a year-on-year increase of 5 percent. Thailand and Japan are the two hottest outbound destinations for Chinese travelers, according to Ctrip, which is also the largest online travel agent in Asia and the second-largest in the world. In addition, Japan ranked second among the popular destinations during the weeklong National Day holiday early this month, according to a report by Ctrip. Experts say the boom in Chinese tourists' travels to Japan is due to the rising willingness among Chinese residents to travel, easing of visa requirements, and favorable duty-free shopping policy. Liu Wen, a teacher from a primary school in Beijing, who joined a seven-day National Day holiday trip to Japan, said she visited Tokyo, Osaka, Kyoto and Yokohama, spending tens of thousands of yuan on food, cosmetics, electrical appliances and daily necessities. "Some of the brands sold in Japan are cheaper than those sold in China due to the tax rebates, and it's also getting much easier to apply for a Japanese visa," she said, adding the environment there is very clean. In fact, one-fifth of Chinese tourists to Japan booked their trips through Ctrip, and the company has offered significant benefits to major destinations in Japan, according to Zhang Rong, vice-president and general manager of Ctrip Hotel Business.